Eros Now and Xiaomi have entered into a strategic partnership under which Eros Now will be available on all Xiaomi televisions. Xiaomi and Eros Now have entered into a strategic partnership. Under the partnership, Eros Now will be available on all Xiaomi TVs in India. Users will be able to access Bollywood and films in regional languages, entertainment shows, music videos and originals at a monthly subscription of Rs 49 (Plus Plan) and Rs 99 (Premium Plan). Eros International PLC (NYSE: EROS) (“Eros”), a leading global company in the Indian film entertainment industry, announced today that Eros Now, its cutting edge digital over-the-top (OTT) South Asian entertainment platform, has entered into a strategic distribution partnership with Xiaomi, India’s number one smartphone brand for its smart Mi LED TVs. This distribution deal between Eros Now and Xiaomi is an extension of the immersive content experience that both partners offer. With this partnership, Eros Now further enhances its distribution to the larger screen in India and then across Asia. Eros Now will be available within Patchwall on all Mi TVs sold in India, giving all users access to its compelling bouquet of 11,000+ Bollywood and Regional language films, entertainment shows, music videos and originals at a monthly subscription of INR 49 (Plus Plan) and INR 99 (Premium Plan). Eros Now’s integration with Mi LED TVs comes at a time when Xiaomi is celebrating its anniversary of four successful years in India. Earlier this year, Xiaomi integrated its Mi Video app with on-demand streaming services including Eros Now. This strategic distribution will enable Eros Now to reach out to a global audience who would be able to enjoy content that has a universal appeal. 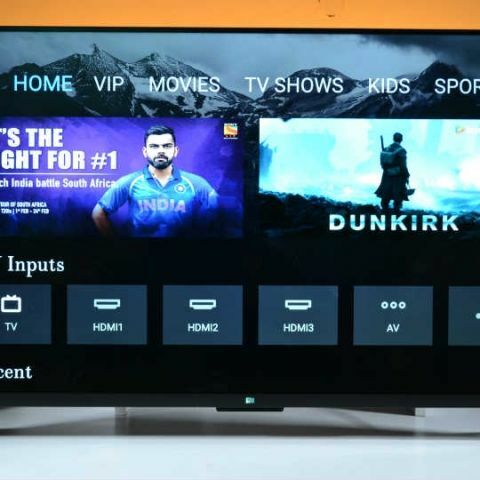 In an innovative move earlier this year, Xiaomi launched the new Mi LED TV 4 55”, Mi LED TV 4A 43” and Mi LED TV 4A 32” armed with native apps from a group of content partners powering the world’s thinnest LED TV. Eros Now’s content offering adds to the largest content aggregator library in India of Xiaomi. The content offerings now pan out to all three Mi TV’s.